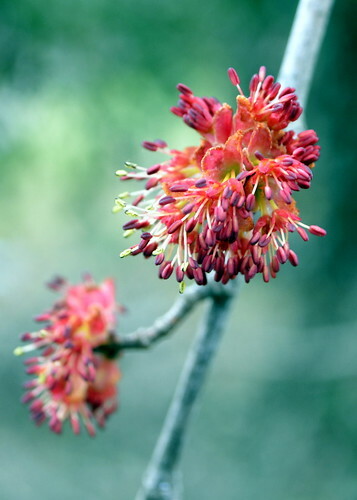 Two weekends ago, I included a photo of tiny, closed, jewel-like maple buds in a post called Ready for Spring. I recognized the neighborhood tree as a maple, but wasn’t sure what kind of maple it was. The answer was staring me in the face the whole time. 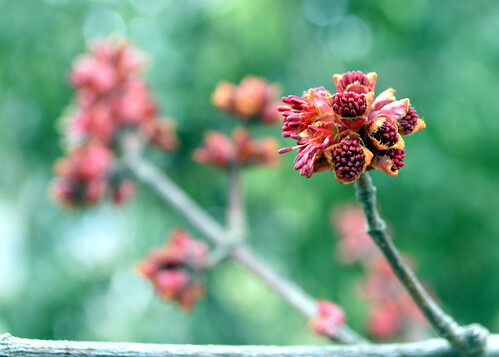 It is a red maple (Acer rubrum), which makes perfect sense given the color of the buds…. 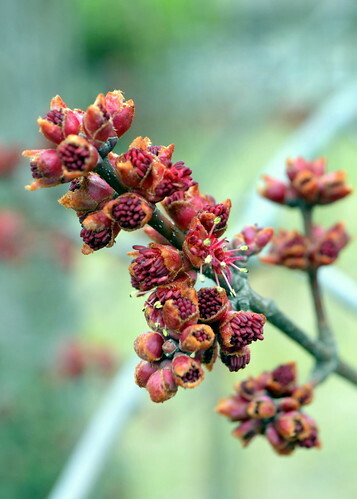 I’ve since stopped by that same tree a couple of times to see if the buds had started to open. This past weekend, they did — and I was reminded that beautiful things can come in very small packages.